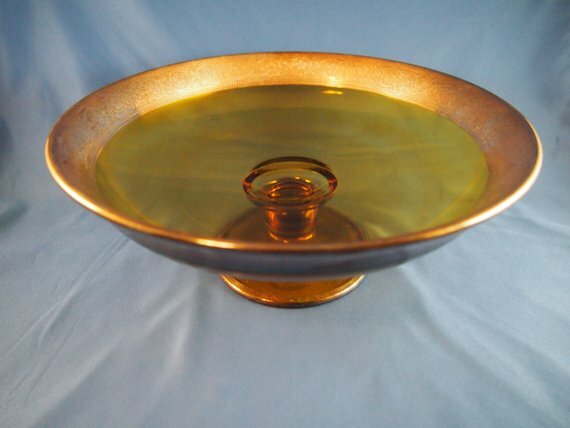 Vintage glass serving dish. 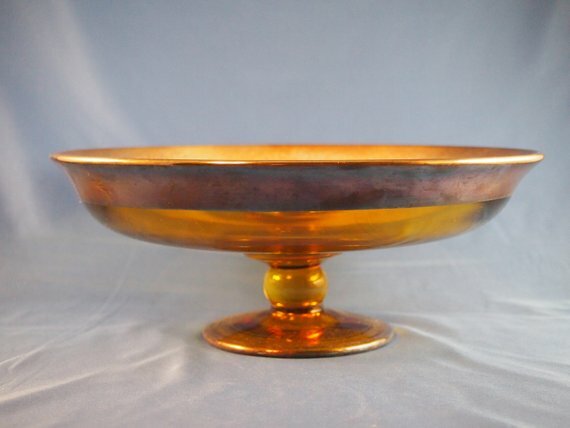 This amber serving dish has a distinctive patterned silver gilt overlay around the outer edge of the dish. The overlay is 1” in width. The dish is set on a single pedestal, which is 4” in diameter. The base of the pedestal has a narrow ribbon of silver gilt around the outer edge. 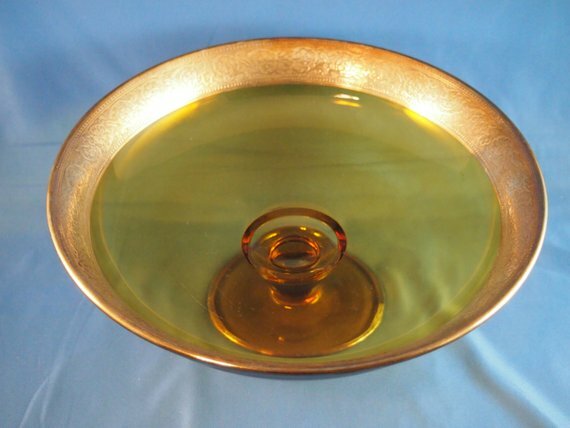 The serving dish is 9 ¾ “ in diameter and 4” in height. It weighs 39 ozs.